To make your carpets; rugs and upholstery fresh and clean, we belive that Prochem technology and trusted non toxic chemicals is the way forward. We have over 15 years experience in the industry and offer a Professional Carpet Cleaning Services using a hot water extraction process that is also commonly called steam cleaning or carpet shampooing. We as a cleaning company have sought out quality products, which give outstanding results and are both child and pet safe. A stronger deeper clean with the added advantage of conditioning sanitizing & decolorizing your carpet. Perfect for allergy suffers & households with children, pets, smokers ect. Long-lasting control of all types of flying and crawling insects. 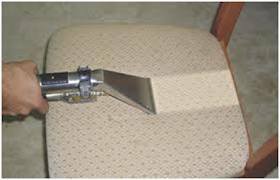 For the eradication of infestations in carpets, upholstery fabrics & on hard surfaces. Does not stain or leave an odour, so ideal for use in hotel rooms and public areas, on carpets & soft-furnishings. An additional charge maybe added for upper floor flats without a lift as the equipment required is heavy, and may require more staff.